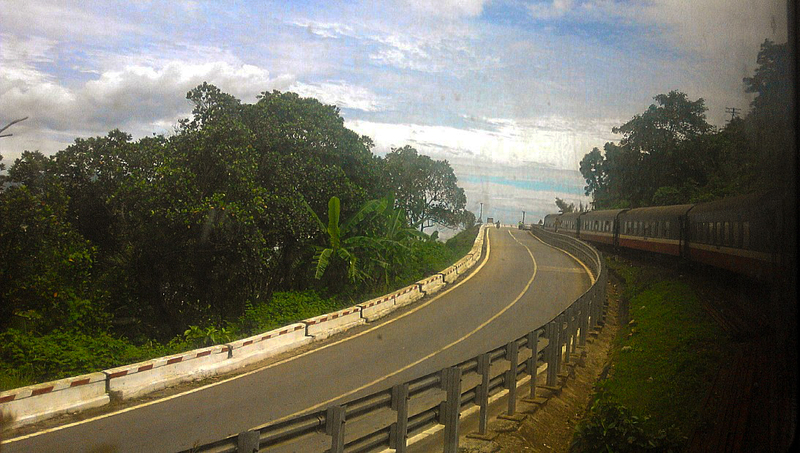 The best way to travel within Vietnam is by train. Period. No doubt airfares are cheap, and the country has a superb domestic air network. But you don’t get to know much about a nation and its people from thirty thousand feet above, isn’t it? That apart, I had another, personal reason to choose trains. I wanted to relive the joy of a cross country train ride. Being in Singapore discounts that option. I miss the Indian Railways, small villages flashing by my window pane, the absolutely divine hawker fare in the stations, the clickety-clack lullaby at night (I slept rather well on trains). I seldom travelled short distance. Calcutta to Madras, Bangalore, Mumbai, Rajkot, were rather long, two-night affairs. No wonder I was thrilled at the prospect of intercity train travel in Vietnam. 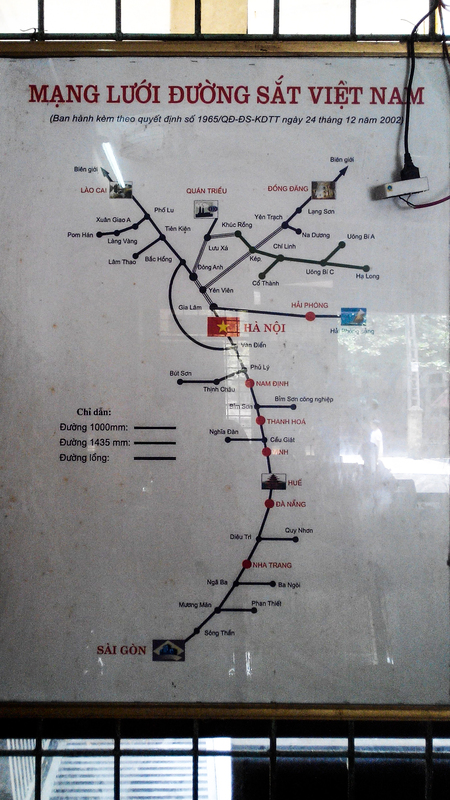 As can be seen from the blurry image on the left (apologies for the bad picture quality), the vietnamese rail network is essentially a north-south line, with off-shoots in between. Main traffic is between Hanoi and Saigon, with as many as eight daily departures. Here I would like to add, the popular Reunification Express is actually a misnomer ! All six express trains are coined the Reunification Express. The journey takes close to thirty hours, give or take a few, as vietnamese trains are not known for their punctuality (on this count, I felt quite at home). 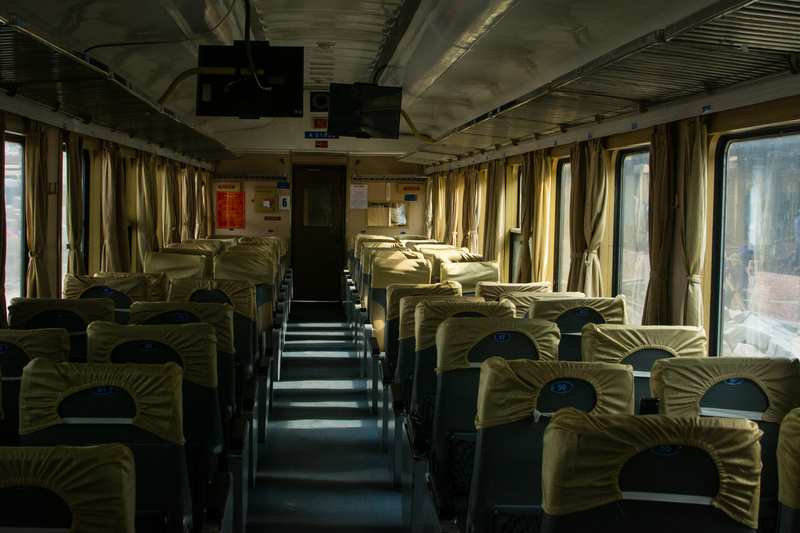 Express trains usually have four class configurations – AC soft sleeper (as seen in the photo below), AC hard sleeper, AC soft seat, and Non AC hard seat. Food and drink trolleys arrive at regular intervals. You also have the provision to order meals. Someone will come to your seat/sleeper to take your order, and half an hour later you can have a hot meal of chicken/beef, boiled cabbage and steamed rice for USD 3. The most picturesque legs in a Hanoi-Saigon trip are Hue-Danang (having seen that) and Nha Trang-Saigon (hearsay). I took the SE1 departing Hanoi at seven in the evening. I was onboard the Livitrans carriage terminating at Da Nang. Next morning as we reached Hue at half past eight, I realised I was the only one left to continue till Da Nang. For the next couple of hours, I felt sorry for all those who got down at Hue. As the train huffed and puffed and screeched its way up the very aptly named Hai Van pass (Ocean Cloud pass), I could not take my eyes off the stunning scenery. It was a sheer drop from my window pane right down to the Pacific ! Its a pity I am unable to post videos on this free theme, and believe me, the one still photo I’ve attached below falls well short of what I actually saw, and felt. I reached Da Nang at around eleven in the morning,pretty much on schedule. This is where you need to get down, for onward travel to Hoi An by road. This was a classic case of journeys being as beautiful as destinations. 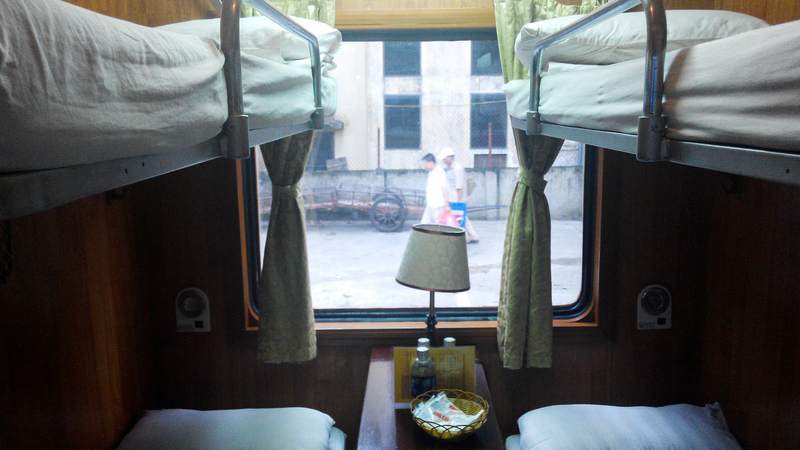 Having made up my mind of taking trains wherever feasible, I did the Ninh Binh – Tam Coc trip by train as well. Most visitors have a day trip to Tam Coc and Hoa Lu by road, but if you want to beat the crowds I’d suggest an overnight stay at Ninh Binh. I took the SE5 leaving Hanoi at nine in the morning and reaching Ninh Binh a couple of hours later. 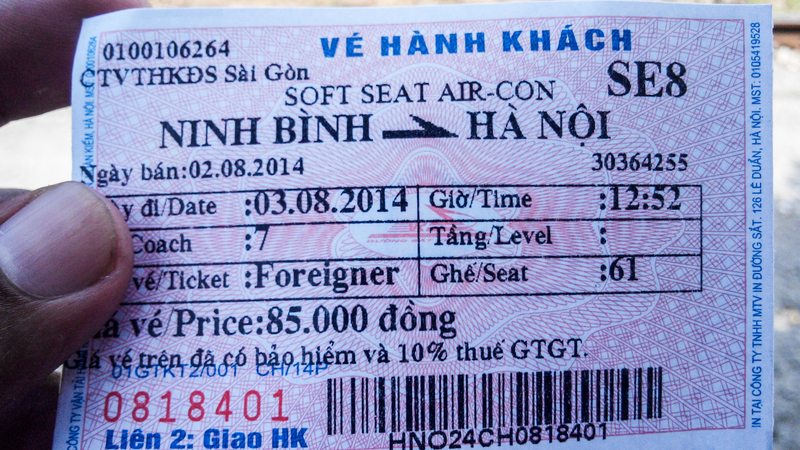 The next day I took the Se8 for return, and was back at Hanoi by half past three in the afternoon. Another much used, and much popular route is Hanoi-Lao Cai. 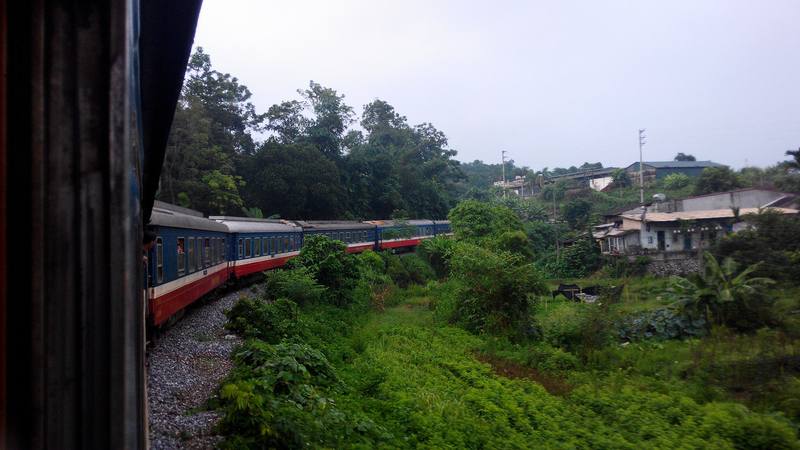 Most visitors to Sapa take the train to Lao Cai, up north at the border with China. There are three express trains running daily on this route, all departing in the evening, and reaching the destination early next morning. Tourist trains like Victoria Express, Tulico, King Express, Livitrans, Fansipan etc are essentially individual carriages attached to these three express trains. Its a comfortable, if a tad slow, overnight journey. 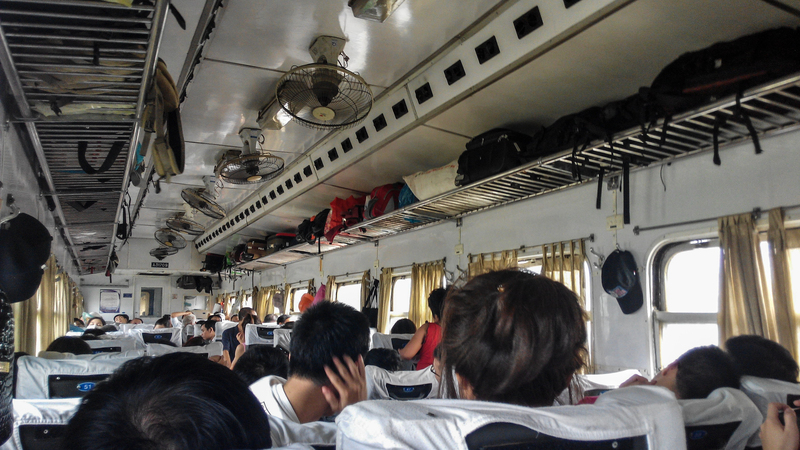 There are slower day trains between Hanoi and Lao Cai, but these are not very popular with tourists. 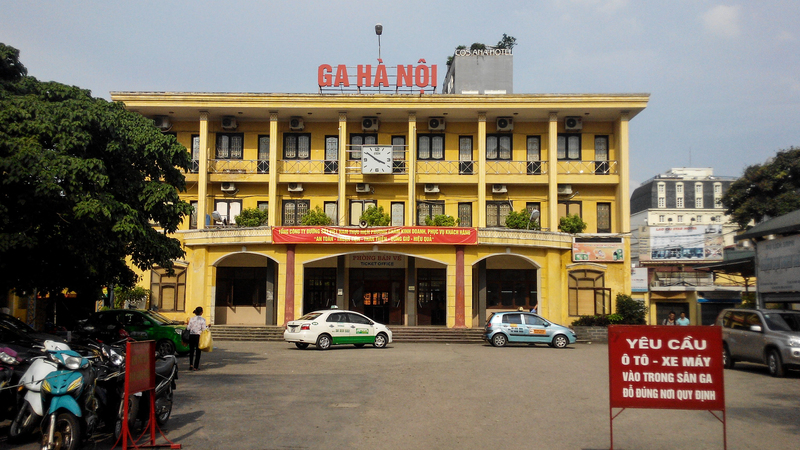 There are other routes like Hanoi-Hai Phong, which I did not use. You may use this twice daily service, should you wish to take a train to Halong. 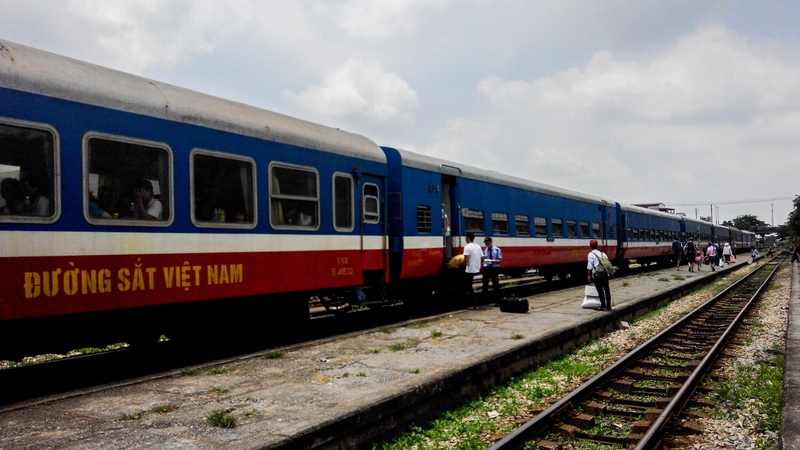 Having travelled quite a bit by train in Vietnam, I would without doubt suggest you do the same. Its more fun, and the locals are a friendly lot. The trains are reasonably clean, and pretty safe. They are not sticklers for time, but hey! you’re on vacation 🙂 Go for it. Thanks for the recommendation! We’re planning a trip there early next year, and this info is great help!